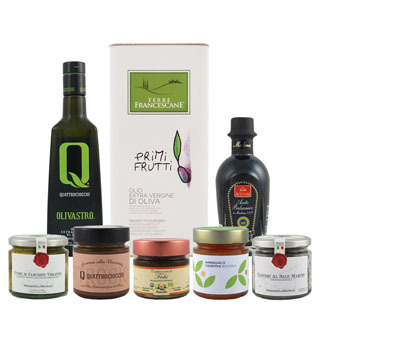 Terra Francescane’s L'Italiano is a superior category extra virgin olive oil obtained directly from 100% Italian olives and produced only by cold-extraction. The result is a slightly spicy and fruity oil with hints of fresh green olive and is ideal for radicchio salads, steamed vegetables and fish. Its pleasant and versatile characteristics have led it to become the extra virgin olive oil used in the well-known television program MasterChef Italia.